From Southern Tasmania to Far North Queensland, dairy farmers supplying Lion Dairy & Drinks (Lion) are already starting to see sustainability improvements and cost savings thanks to the 2017 Lion Dairy Pride Landcare Grants program. Last year, Lion and Landcare Australia awarded grants to 10 dairy farmers to help improve sustainability on their farms. Close to $100,000 in funding helped these farmers implement initiatives including increased use of solar power, installation of energy saving equipment, recycling of waste water and revegetation projects. 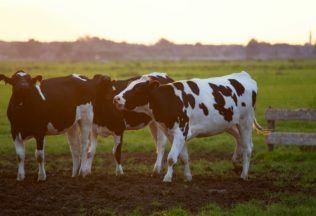 “We are really proud to be partnering with Landcare to offer our farmers the tools and resources to address some of the ongoing environmental challenges in the dairy industry. The Lion Dairy Pride Landcare Grants Program attracted some fantastic entries last year and a number of successful projects were funded,” Jeffrey said. Landcare Australia Acting CEO, Shane Norrish, is pleased to be able to help support farmers to run more sustainable operations. “I am delighted that through our partnership with Lion, we continue to be able to support projects that make a tangible difference to the sustainability of farm businesses in Australia. We’re aware of the increasing challenges that farmers face and welcome any opportunity to help them balance their production requirements with the need to farm sustainability,” he said. Citing a range of ongoing challenges including increasing costs, electricity outages and difficulties maintaining productivity during drought periods, the grant recipients are pleased with the results from the projects funded through last year’s grants programme and are keen to continue to explore new ways of increasing the sustainability of their farms into the future. The Lion Dairy Pride Landcare Grants program forms part of Lion Dairy Pride, a dairy farm sustainability program launched by Lion in 2016. The program offers farmers who supply Lion a unique way to measure, evaluate and improve key areas of sustainability on their farm.